I have been traveling to Mainland China since 1984. I spent time there as a student, have led several study abroad groups as a professor, have attended academic conferences, and so on. I’ve traveled all over the Mainland, from North to South, and East to West. I lived in Hong Kong in the early 80’s and have traveled to Macau. But in all these years, I had never been to Taiwan. I have friends and colleagues from Taiwan, and many of my students have spent time there, but I guess I never felt overly compelled to go there. Maybe I didn’t believe all the hype about how great Taiwan was. A year and a half ago my daughter moved to Taiwan. Suddenly I had a great deal more interest in Taiwan. Earlier this month I finally made it to Taiwan. 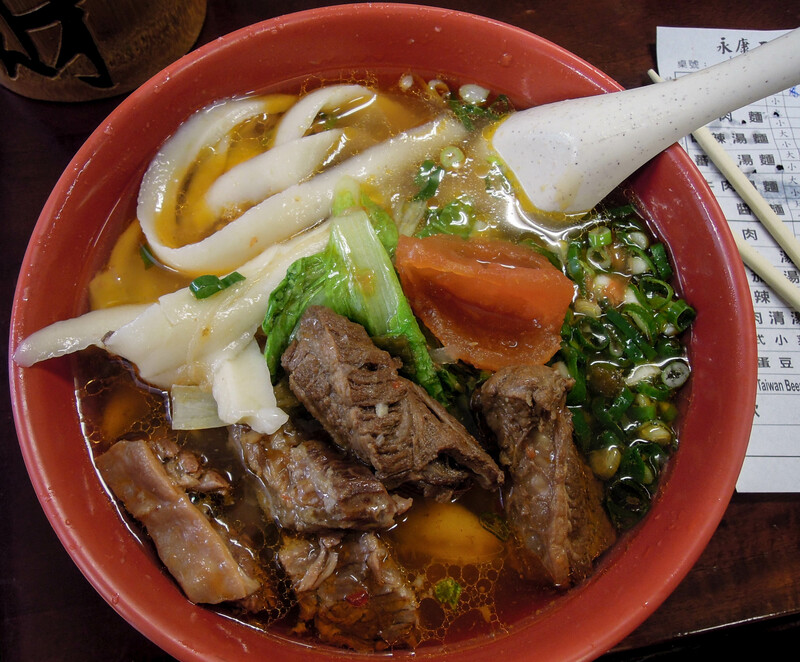 I am working on a new book on Chinese culinary culture (basically a foodie’s guide to China), and practically everyone that I talked to told me that I couldn’t possibly do a book on Chinese food without including at least a section on Taiwan, especially Taiwan’s famous snack food. 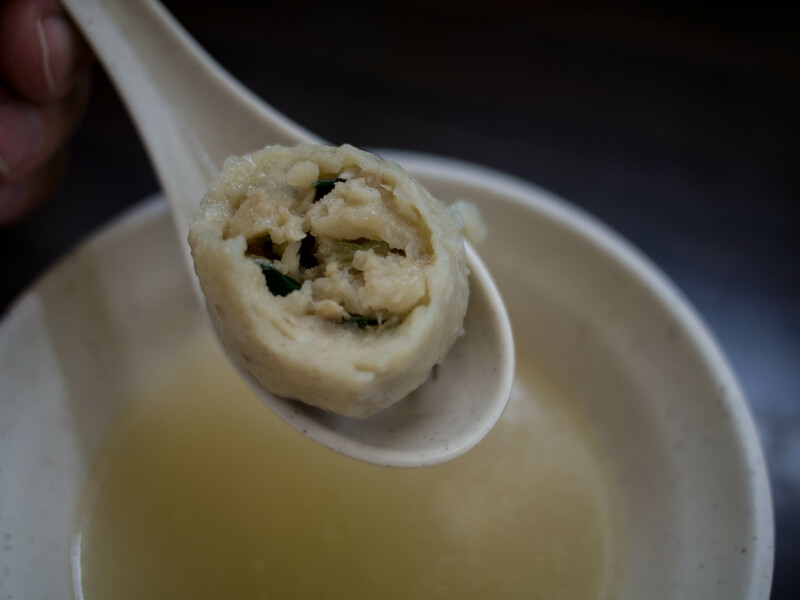 So, after spending a couple weeks in Guangzhou and surrounding areas researching Cantonese food, I stopped in Taiwan for six days to check out the culinary scene. And I was not disappointed. In addition to meeting up with some former colleagues and a friend or two, I spent most of my time eating. I know, it’s a tough job, but somebody has to do it, as the saying goes. Here are some of my initial observations about Taiwan, mostly compared with the Mainland. 1. Taiwan is really clean, neat, and orderly. Even the traffic is well behaved and I didn’t feel like I was going to get run over. In fact, I had bus drivers actually wait for me while I crossed the road. That’s pretty rare in the Mainland. 2. 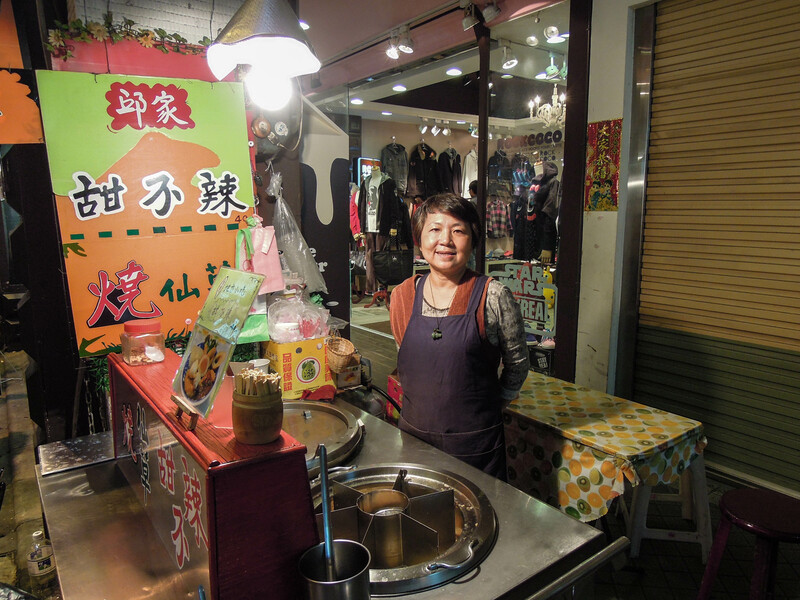 Taiwan people are generally friendly, polite, and eager to chat with a foreigner. Coming from China, and a socialist attitude toward customer service (i.e. non-existent), this was really surprising to me. 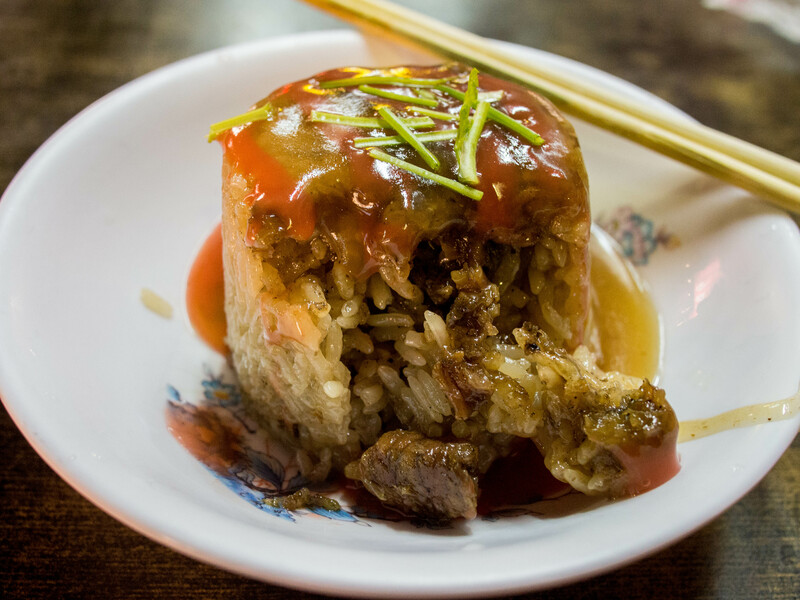 At one night market I sat down at a tiny table to eat some delicious 甜不辣 tiánbúlà and since it was a bit quiet, the lady running the stall sat down with me and we chatted for a half hour or so. She kept giving me more food to try, on the house. 3. Taiwan is very Westernized. I guess this was not too surprising. There are lots of foreigners in Taiwan. I saw them all over (at least in Taibei). 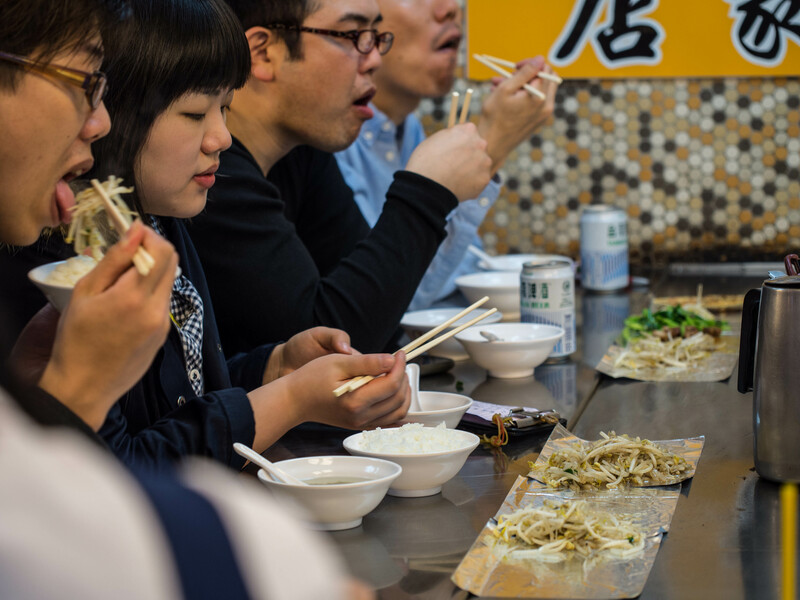 It is evident that Taiwan is heavily influenced by Western ideas, fashion, food, etc. There is also a very noticeable Japanese influence as well. Overall, I had a very nice time in Taiwan and will definitely be back. 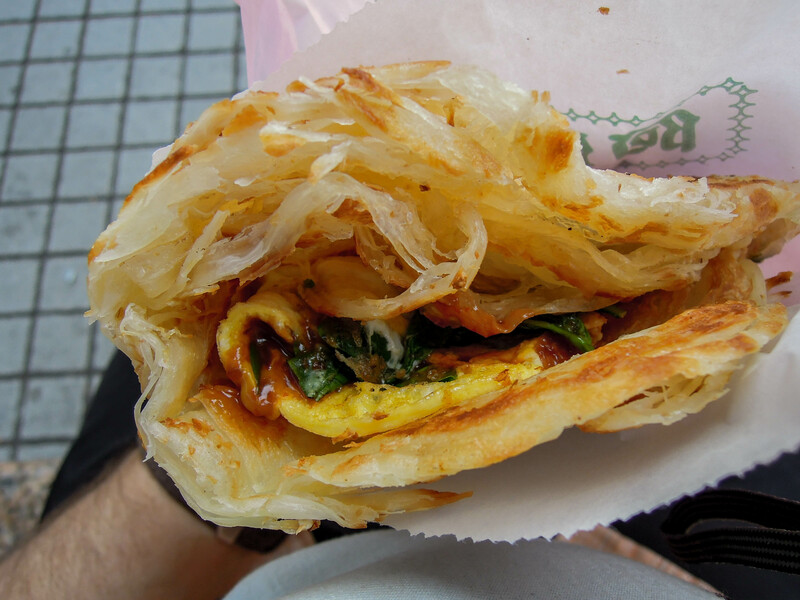 I originally planned on going down to Tainan to try some of the famous snack food down there, but I ran out of time. I spent time in Zhongli, Taibei, and an evening up in Danshui. 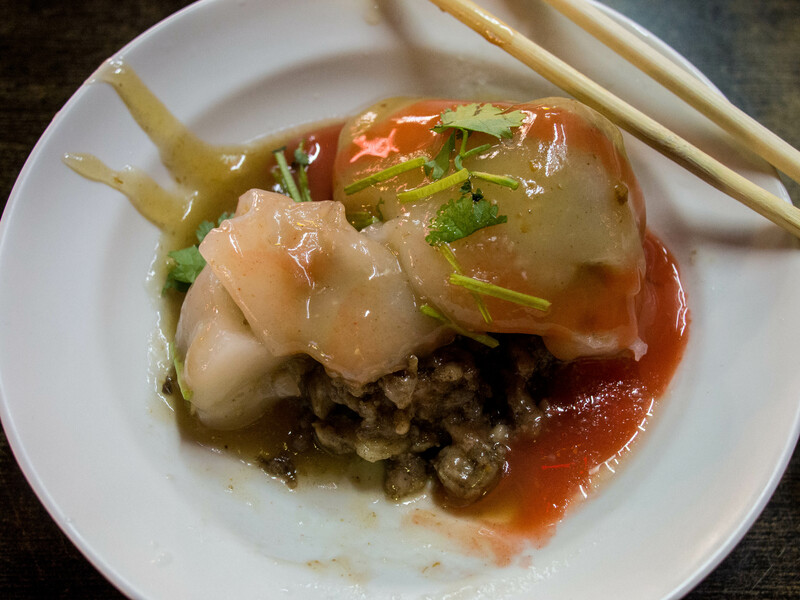 Below are just a few of the delicious dishes I sampled at some of the night markets. 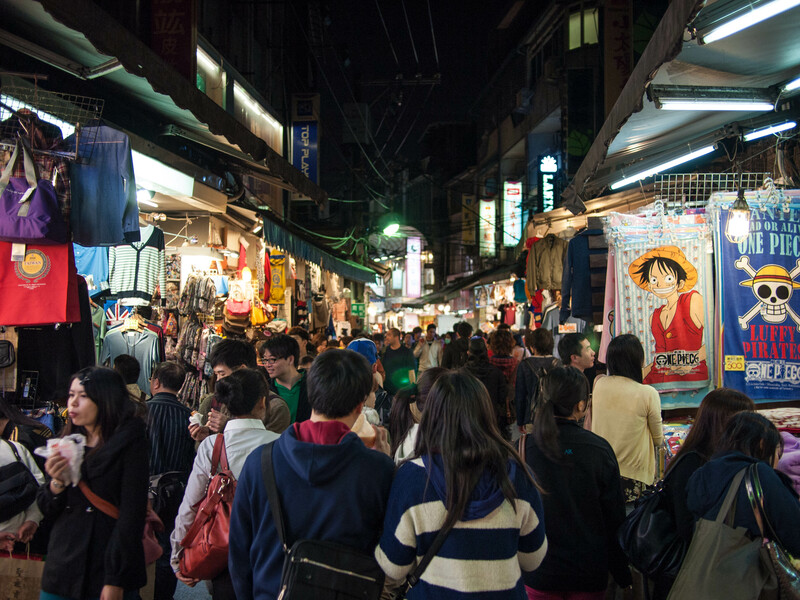 I spent time in the Shilin Night Market, The Shida Night Market, and the Danshui night market. 甜不辣 tiánbúlà; transliteration of the Japanese tempura—it is fish paste formed into various shapes, then boiled in a broth and topped with a miso gravy. 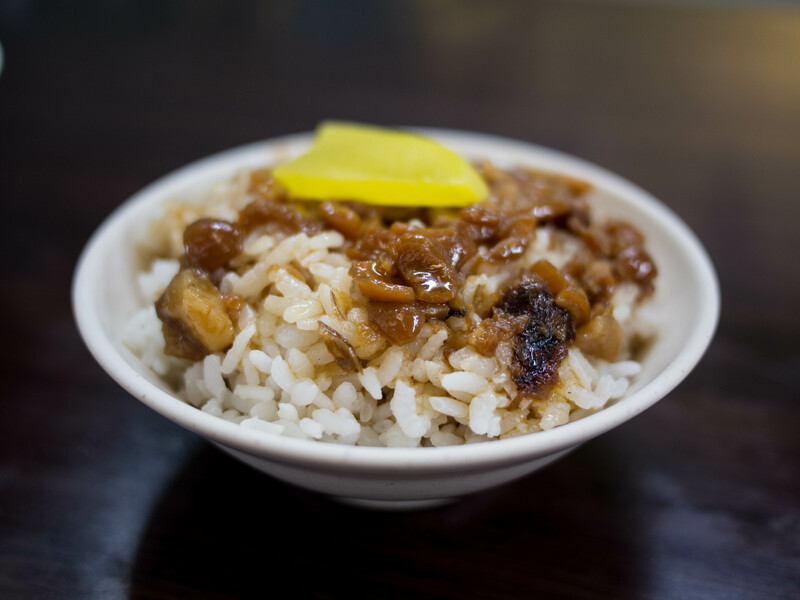 肉圓 ròuyuán, but more commonly called ba wan from the Taiwanese. 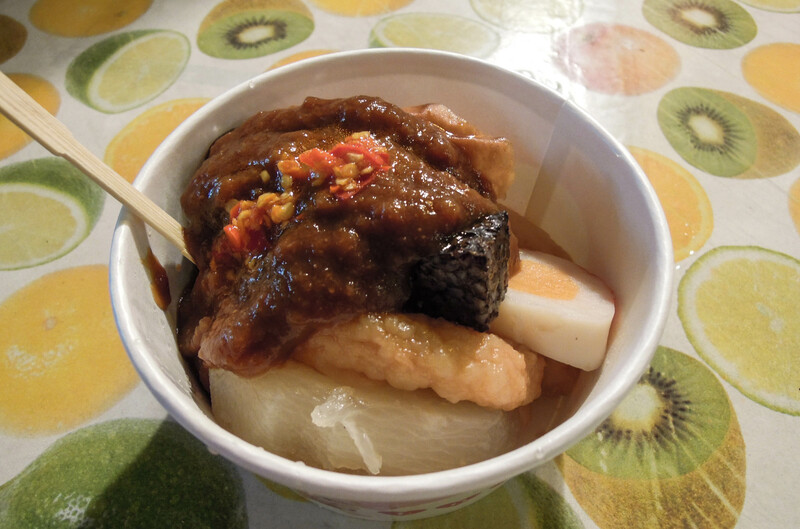 It is a large rice flour dumpling. 大腸包小腸 dàcháng bāo xiǎocháng ; Small sausage wrapped in a large sausage; the big sausage, which acts as a bun is actually sticky rice in a sausage casing. I went to Taiwan with a list of about 40 or so things I wanted to try. In the end, after 6 days I was able to try about 22 items on my list. The food was fresh, delicious, and quick. 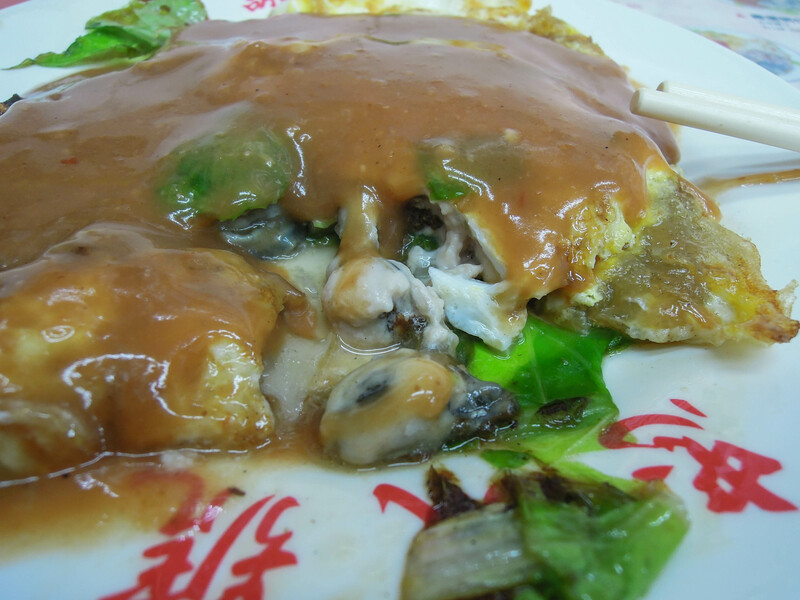 Next time I really need to get down to Tainan as I have heard the food there is pretty amazing as well.